Lithograph of the stained glass window above the altar at West Hackney Church, coloured. 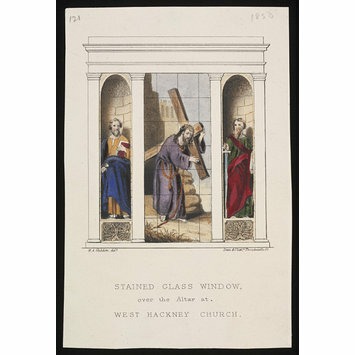 Lithograph depicting stained glass window over the altar at West Hackney Church, coloured; M.A. 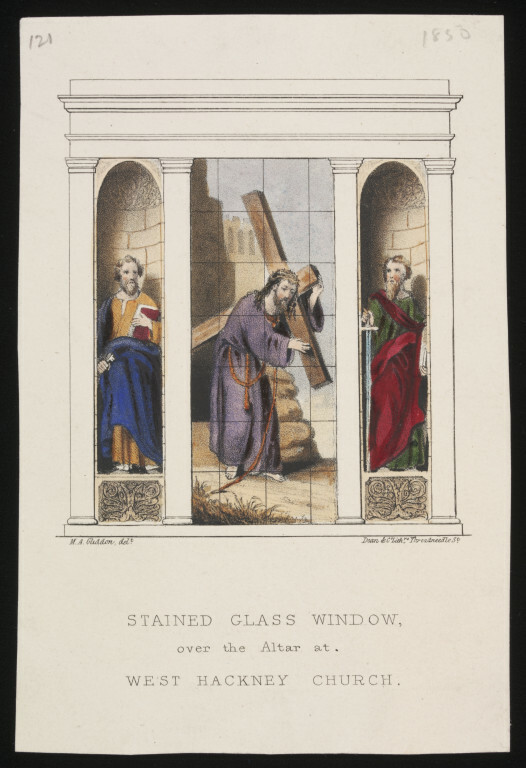 Gliddon, 1850.